From May 2013 to the Summer of 2014, I was a self confessed gym lover. I would regularly go a couple of times a week, usually after work, and carry out a strict fitness regime. It usually consisted of a 20 minute run, followed by a little bit of cardio on the rowing machine, stomach exercises, leg exercises, and free weights. I used to love it- I even attended regular circuit classes, and I’m not really an exercise class type person as I prefer to do my workouts alone. Anyway, I got back to the UK in July last year, and my fitness regimes have taken a back seat. Back in England and with the arrival of Winter, I found myself swapping my hourly sessions of blood pumping workouts to slobbing on the sofa, laptop on my knee, eating some form of comforting carbohydrates. So now it’s the start of February 2015, and although I still attempt to go to the gym, it’s usually more like once a week that I’ll drag myself along. I feel more tired, lethargic, un-toned, less energetic, and worst of all, my skin is dull with zero glow. But things might be changing… A lovely selection of brightly coloured activewear has launched at George at ASDA. 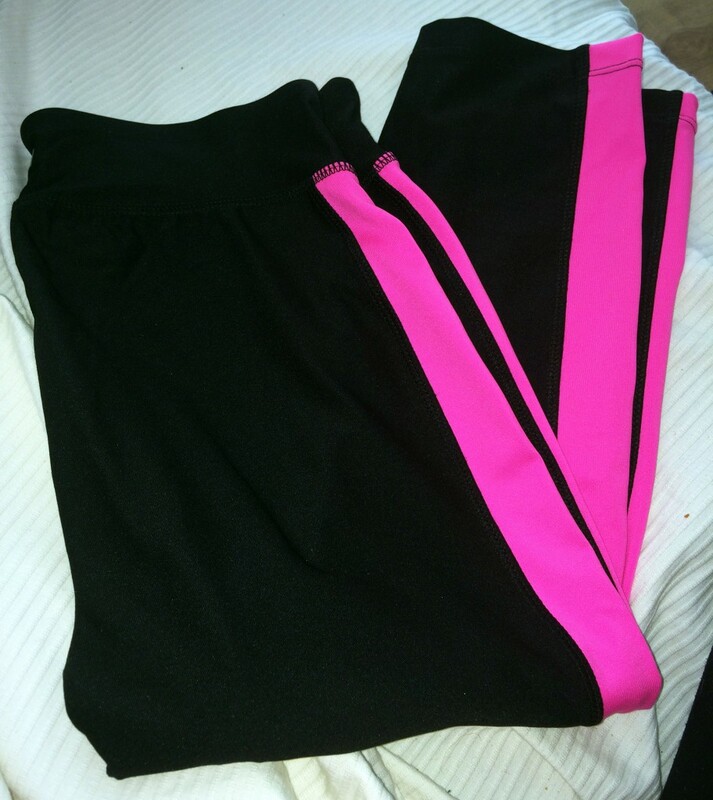 I am now the owner of some very cool stylish sportwear, and just catching a glimpse of it sat in my gym bag makes me instantly feel more encouraged to work out. The pieces look really professional for a good work out session, and knowing that I am now ‘equipped’ with the correct gym wear really has a positive effect on my mind. I see the pretty sportswear, and I have much more of an urge to slip it all on and head out of that door. As you can see, Carly is also a proud owner of some amazing sportwear pieces from the range too. The activewear range is priced incredibly affordable, which is one of the things I love the most about it. Trainers cost around £12, but they also retail a pair of super-cute sporty ballet pump style workout shoes for £10 which are the next item I am going to purchase to add to my growing collection of sportswear. The range also includes an extensive choice of leggings; from cropped, 3/4, full length and bootleg, there is a length to suit everyone. To jazz up the black leggings, the colour palette of workout tops, sports bras, hooded tops and athletic tee’s includes fresh Spring pastels with the odd neon bright to really ‘wake up’ your kit. 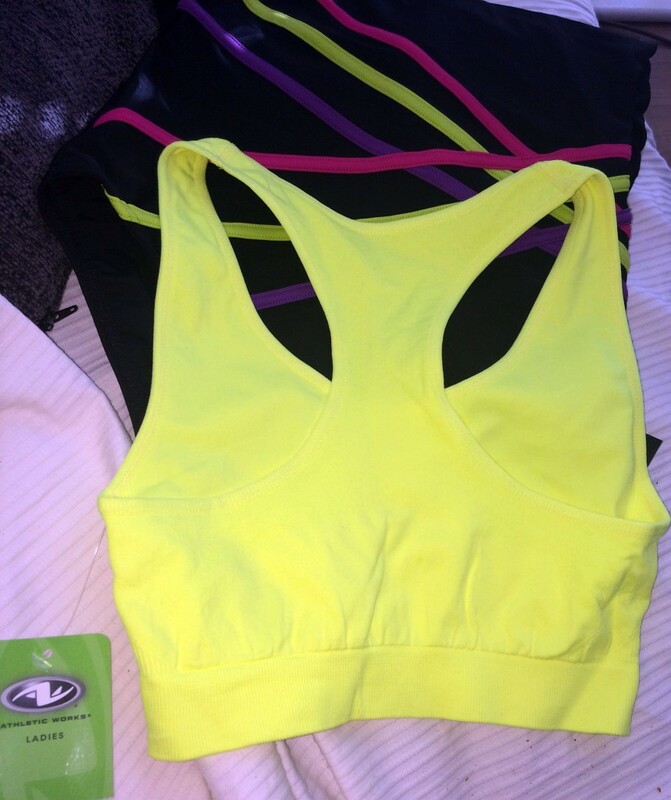 I am in love with my neon yellow sports bra- there is no way anyone will lose me in the gym now! I haven’t worn a swimming costume for so long too, as I usually just wear bikinis as I double them up for holidays as well as leisurely swimming. However, I opted for this Bodysculpt CrissCross swimsuit and I feel much more prepared for a serious swim when I am wearing this. I’m actually going to bring it away with me on my next holiday as I feel it’s fitted shape is actually quite flattering, and I’ve started to fall back in love with costumes again. I also love just throwing a hoody over the top of the black sports bra, as it acts like a cropped workout top too. So to round up this post, here are some fitness tips from myself for a little bit of motivation and encouragement. As I mentioned earlier, my fitness regime has slipped slightly, so these tips are ones for me to take note of again too! 1. YouTube is a fantastic source of exercise inspiration if you don’t wish to join a gym. Pop on your activewear, get yourself set up in your front room or bedroom, position your laptop in a good spot, and play a couple of 10 minute work out videos from YouTube. 10 minutes of intense legs, bums, tums or arms exercise is sometimes all you need on a Sunday afternoon if you really can’t motivate yourself. 2. If you can drag yourself to the gym, start of your fitness regime with a 20 minute power walk session on the treadmill. Set the gradient to 7.0 and a speed of 6.0, and have a really good power walk. 20 mins – if you do it correctly- will burn around 200 calories, therefore you can focus the rest of your workout on weights and toning. Do you have a favourite selection of activewear? Or any fitness tips you’d like to share?